What is the LCI and what are the boundaries of the study area? The LCI program, started by ARC in 1999, awards planning grants to local governments and nonprofit organizations to plan for enhancement of existing centers and corridors, and provides transportation infrastructure funding for projects in the resulting plans. Each LCI study includes land use, transportation, market analysis, and public outreach components. The Oakland City/Fort McPherson/ Study Area is one of the 2015 grant recipients. The Oakland City/Fort McPherson Livable Centers Initiative study area includes 1,300 acres and is bounded roughly by Langford Parkway to the south; Sylvan Road, Dill Avenue, and Metropolitan Parkway to the east; the BeltLine Corridor to the north; and Peeples Street, Epworth Street, Campbellton Road, and Stanton Road to the west. The study area includes Sylvan Hills, Oakland City, Fort McPherson, and portions of Venetian Hills and Adair Park, represented by Neighborhood Planning Units S, R, and X. Also included are Oakland City and Fort McPherson MARTA stations, Fort McPherson, the Veterans’ Affairs Medical Center at Fort McPherson, the future Tyler Perry Studios, the Mondelez Foods Plant, the former State Farmer’s Market, Perkerson Elementary School, Finch Elementary School, Sylvan Hills Middle School, The Reverend James Orange Park, and the Atlanta BeltLine. What is the current plan for the redevelopment of Fort McPherson? As we update our planning to reflect the current conditions in the area, we have received market-based input from an Urban Land Institute Technical Assistance Panel (ULI-TAP) and will build on that with community-driven input in the 2015 update to the Oakland City/Fort McPherson Livable Centers Initiative (LCI) study. The concept established in the 2010 master plan to build commercial and community-scale mixed-use development around an anchor tenant as remains the same, but now with Tyler Perry Studios (TPS) as that anchor tenant. How will the LCI study influence revitalization of Campbellton Road and the surrounding communities? The Livable Centers Initiative (LCI) is a program that awards planning grants to prepare and implement plans for the enhancement of existing centers and corridors, and also provides transportation infrastructure funding for projects identified in the LCI plans.​​​ This LCI study will pave the way for revitalization by delivering market-viable plans that are embraced by the community and supported by local government. Community participation is imperative for the study to be a success. Please add your email address to our list by using the subscription form at the bottom of this page, to ensure you are notified of upcoming planning events. Why wasn’t the 2010 Master Plan implemented? The Master Plan developed in 2007 and refined in 2010 detailed the concept for mixed-use commercial and residential development anchored by a Science and Biotechnology Research Park. The subsequent real estate market crash reduced demand for properties among prospective tenants and made engaging with a master developer almost impossible. Ultimately, the market would not support a plan of this magnitude in this location. How will a film studio catalyze development? Film and television studios can have a tremendous positive economic impact on their surrounding areas. In 2014, film and television spending in the metro Atlanta area exceeded an estimated $850 million. With typical film studios, these significant spending levels are not captured by adjacent businesses and communities. However, employees of Tyler Perry Studios are excited to utilize the same types of retail that our community is seeking, and that the market will support. We can expect the see this type of retail development lead to other new development in the area. Why is Fort Mac LRA focusing on economic development? Economic development is the foundation of community development. It provides the base for the quality housing, commercial and retail services, and public green spaces that every neighborhood deserves. The community surrounding Fort McPherson has experienced historic disinvestment, mortgage fraud, predatory lending, vacant and blighted housing, and with the closing of Fort McPherson, the loss of more than 6,000 jobs. Even with improving economic conditions, these neighborhoods have not seen similar renewal as other Atlanta neighborhoods such as Old Fourth Ward, Inman Park, and Grant Park, because real estate investors are not currently attracted to this area. Within a three-mile radius of Fort McPherson, one in three households earn $15,000 per year or less. Forty-one percent of residents’ maximum educational attainment is a high school diploma, and 40% have no diploma. Most work sales or service jobs. Ten percent of housing is vacant and 52% of families rent, 38% of whom devote more than a third of their income to rent. Here, community development will not happen without economic development. Employed people are empowered people, and Fort Mac LRA’s focus on creating jobs is a commitment to the families of this community. As our planning efforts move forward, Fort Mac LRA will be able to provide a better estimate of the number of jobs that will be brought to the community. Prior estimates state that nearly 10,000 jobs will be created over a 10 year period, depending on redevelopment. The film studio alone projects the relocation of 350 headquarters jobs from their current site plus an additional estimated 4,000-8,000 permanent, contract production and construction jobs over that same time period, placing Fort Mac LRA well on our way towards our goal. Will there be job training for these new positions? Many members of the community already possess the skills and training to compete for the kinds of jobs that will be coming: construction, retail, maintenance, landscaping, medical services, etc. The City of Atlanta and the State of Georgia are also working on job training initiatives for the numerous production jobs in the film and television industry, where demand for skilled workers is high across the state. What was the transaction with Tyler Perry Studios (TPS)? Tyler Perry Studios purchased 330 acres of Fort McPherson for $30 million. TPS has committed to investing over $100 million total—converting this property into a film and television studio. Fort Mac LRA will redevelop the remaining 145 acres into a commercial mixed-use development anchored by the film and television industry. How did the Tyler Perry Studios/Fort Mac LRA/Army transaction happen? In March 2014, Mayor Kasim Reed introduced Tyler Perry Studios to Fort McPherson as a potential investor. Fort Mac LRA engaged in negotiations with TPS and emerged with a real estate purchase and sale agreement that enabled it to purchase the entire property from the Army and retain ownership of 145 acres for redevelopment after selling 330 acres to Tyler Perry Studios. Was this a good deal for the community? Yes. The most important aspect of this transaction is not the purchase price for the land, but the expected $100 Million+ total investment in this community by Tyler Perry Studios, and the additional investment that is expected to follow. Our community hasn’t seen investment of this magnitude in decades, and with it we have a chance to catalyze real transformation. Regarding the land, the US Army sold Fort Mac LRA the property for $26 million, or about $55,000 per acre. Fort Mac LRA then sold TPS 330 acres for $30 million, over $90,000 per acre. No economic incentives have been offered, yet the Campbellton Road TAD stands to gain millions of dollars as the TPS property is built out, dollars which can be used to further improve the community and to attract additional investment. Completing a transaction with the US Army takes time. Initially, the Army agreed to sell the property on a “payment plan” secured by a mortgage. This would have made it feasible for Fort Mac LRA to sell off smaller segments of the property. However, in June 2013, the Army changed its terms to require guaranteed payment on 100% of the purchase price, thus eliminating an option for a mortgage. With this new stipulation, there were two options: 1) taxpayers pay for the entire property, or 2) identify a private investor who could purchase enough land at a price that would enable Fort Mac LRA to meet the Army’s requirements. The Army also introduced terms around a few small environmentally challenged parcels that further slowed progress. Despite these challenges we are grateful to the Army for expediting all the areas within their control and ultimately completing the transaction with us. What will happen to the property taxes of residents in the affected area? A successful redevelopment effort would lead to increases in property values for homeowners in the immediate area; however, that success does not control or influence property tax rates. Concerns about property tax rates should be directed to your local elected officials. Will the community have access to the property owned by Tyler Perry? Tyler Perry Studios has discussed opening the studios for public tours and festivals. Will the redevelopment efforts address the walkability/transit concerns? Yes. Pedestrian accessibility and walkability are a primary focus in all master planning efforts. Fort McPherson lies between two MARTA stations – the Lakewood-Fort McPherson station and the Oakland City station – and Fort Mac LRA intends to leverage this as it develops concepts toward a transit-oriented development. Will the historic properties be preserved? If so, what access will the public have? Yes. Any purchaser of properties designated historic, including TPS and Fort Mac LRA, will be obligated to preserve and maintain the exterior façade of those historic structures. TPS will preserve their historic properties and plans to use them in film and television productions. In addition, the ULI TAP recommended that Fort Mac LRA develop approximately 17 of its 145 retained acres as a Historic Village with retail shops, business offices and restaurant options in the designated properties. Those properties would be accessible to the public. Will there be greenspace allotted for public use? Greenspace is an area of grass, trees, or other vegetation set apart for recreational or aesthetic purposes in an otherwise urban environment. Public greenspace remains a priority and current planning concepts include public plazas, public greenspace, and public greenways (mixed-use trails) on the 145 acres that Fort Mac LRA retains. Will Fort Mac LRA continue to honor its commitment to the homeless? Absolutely. Fort Mac LRA’s commitment to the homeless remains a priority in our current planning concepts. Fort Mac LRA established commitments through negotiations with homeless service providers who responded to our initial request for proposals. Of the seven providers with whom we negotiated, two have withdrawn and we have issued a new request for proposals to replace those providers. 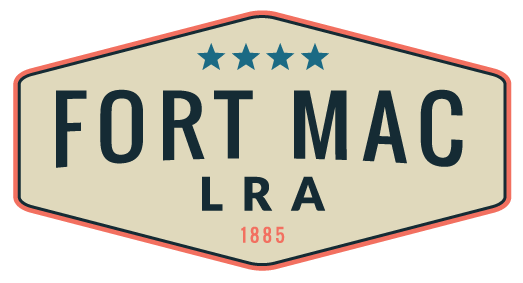 Fort Mac LRA will use properties within the remaining 145 acres, proceeds from future sales, and additional assistance from the City of Atlanta to fulfill these important commitments. Will the walls surrounding the property be torn down? Yes, the walls will be torn down along the 145 acres as commercial and residential mixed-use development occur. Fort Mac LRA retained the portions of the property along Lee Street and Campbellton Road specifically to see to it that those properties will be opened to the community as redevelopment occurs. As would be the case with many corporate complexes or academic campuses, a fence will be necessary around the property owned by Tyler Perry Studios. How can I participate? What is the process for my voice to be considered? All of Fort Mac LRA’s official Board Meetings and Committee Meetings are open to the public, and we welcome all to attend. The Community Engagement Subcommittee (CES) brings the community perspective to the Board. Each neighborhood association, ward, and NPU in the communities surrounding Fort McPherson is represented on CES. As part of the 2015 update to the Oakland City/Lakewood Livable Centers Initiative (LCI) study, four community engagement meetings will be held by the end of January 2016. Information about those meetings exists on the Events page of this site. At the core of any Base Realignment and Closure (BRAC) transition process is the Local Redevelopment Authority (LRA). The LRA serves as a coordinating body for the community and is responsible for preparing and implementing the redevelopment plan. How was Fort Mac LRA created? The McPherson Implementing Local Redevelopment Authority (MILRA) is Fort Mac’s LRA. It is a public entity created by the Georgia Legislature and is governed by a Board of directors comprised of Governor-appointed representatives from the City of Atlanta, the City of East Point, Fulton County, and the State of Georgia. * The McPherson Implementing Local Redevelopment Authority is the legal name for the Fort Mac LRA and MILRA.